WHEY-X5® is precisely formulated to help you grow, maintain and repair lean muscles. This is achieved through rapid absorption of whey protein isolate and concentrate, which is accomplished by using the best possible amino acid profile and high-quality whey protein. We use premium quality un-denatured whey protein for its digestive properties and superior nutrient utilization. 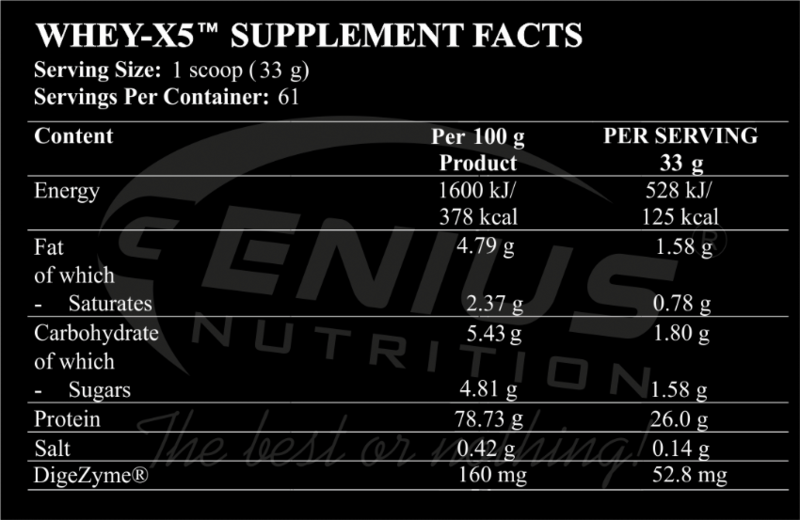 What is inside of Whey-X5®? - Whey protein concentrate and Cross flow micro filtrated whey protein isolate - contain high level percentage of essential amino acids (the ones your body does not make). 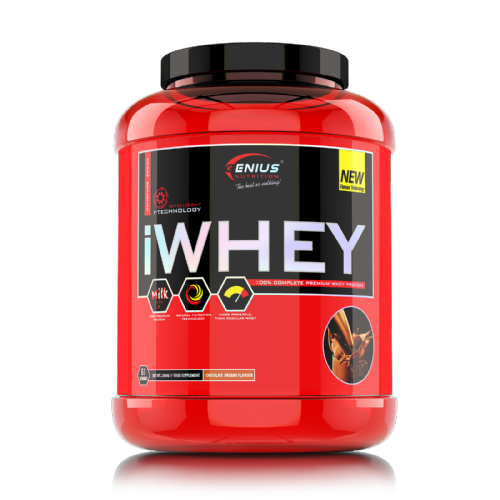 Specifically, whey is the richest source of the amino acid leucine that sparks muscle protein synthesis. Researchers have discovered that when leucine levels in the blood are increased, this is a strong signal to increase the synthesis of muscle proteins. Studies have shown that whey protein consumed before or after exercise rapidly increases the rate of muscle protein synthesis. Whey is absorbed quickly and gram for gram contains more leucine than other protein sources. - Digezym® (patented enzymes) - helps break down long and short chain peptides into smaller, more readily absorbable amino acids for maximum digestion and absorption without the worry of wasting ingested protein. Digezym® helps the body release more amino acids from ingested protein than the action of digestive enzymes alone. - Natural Flavor – This formulation use only natural flavors without artificial colorants, sweeten with the most safe sweeteners according the most serious studies: stevia & sucralose.